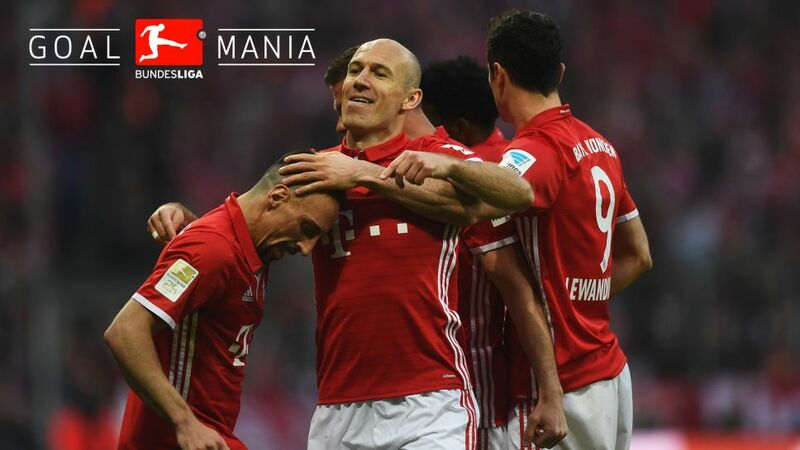 Bundesliga | Bayern Munich’s Arjen Robben: "Everyone is important!" Robben (centre.) scored his 86th Bundesliga goal for Bayern, drawing level with club legend Uli Hoeneß in their all-time scoring charts. Bayern Munich’s Arjen Robben: "Everyone is important!" Arjen Robben put in a superlative display as Bayern Munich despatched Borussia Dortmund 4-1 in the Klassiker, plundering his ninth goal of the campaign to help send the Bundesliga’s record champions 10 points clear with six games left to play. Question: Arjen Robben, was that exactly the performance Bayern needed? Arjen Robben: If you play like that, with a lot of intensity and passion, and win against a very strong opponent, then it’s a lot of fun and you can’t help but be satisfied! Question: Once you were 4-1 ahead did you begin to think about the Real Madrid game in the Champions League in midweek? Robben: The game was finished after the fourth goal and perhaps the pace died down. We played with great intensity before that, though. We worked hard in the first half and the second half, too. I have to compliment my teammates. We played really well and it was a lot of fun. Question: Coach Carlo Ancelotti often rotates his players. How important is it to use your strength and depth in April? Has this been your key to success in recent seasons? Robben: Yes, perhaps. We always said that if you want to win the title you need an entire squad, not just 11 players. Fortunately, we only have top-quality players, which is necessary. Everybody is important, even the players who play less. Everyone does a great job when they come on. Everyone trains very well and is professional. This is the only way to be successful. Question: How will you approach the Real Madrid game? Is the semi-final defeat against them from the 2013/14 season still in the back of your mind? Robben: This is a whole new game and we have to approach it with a lot of self-confidence. We have every reason for this. But we also have to be calm and thorough. We just have to carry this attitude with us and act like we did against Dortmund – with a lot of passion and aggression from the first minute. We want to win. Head here for the Klassiker match centre!